— Julie. Mother of two. Retired pathologist. Wellness coach for those living with chronic illness. Family caregiver. At first glance, their experiences might seem quite different. Yet with a deeper look across their day-to-day lives, their shared experience, and important lessons on family caregiving, begin to emerge. One of their greatest shared experiences is complexity. Think, for a moment, just how complicated care networks are, and how many people — family, friends, and medical providers — are involved. Then, imagine how it must be to coordinate them, juggling activities and schedules, people and institutions, when mistakes can be dangerous and there is always an unexpected event around the corner. Finally, add all this to the general demands of life and work. Family caregivers are at the center of these complex webs of family, social groups, and medical, service, and support professionals, each with their own requests and requirements. Negotiating these networks while providing care effectively can be one of the most challenging aspects of family caregiving, and the stress can be intense. Making this easier for the family caregiver not only supports their efforts, but their own health and well-being. 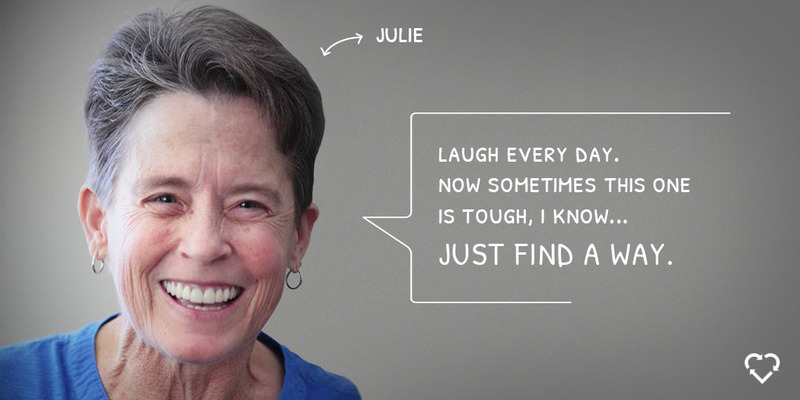 Help family caregivers develop self-knowledge. Many social service and support organizations view educating family caregivers to be a key part of their mission. This can be expanded to include guiding family caregivers on how to become better experts on their own caregiving experiences and situations. Our study found that participants learned a lot about their own lives from answering our interview questions and reviewing their data from activity logs and sensors. Given this finding, caregiver support organizations might consider how they can empower family caregivers by helping them conduct and benefit from self-observation. Know each family caregiver’s care network. Discussions about family caregivers in professional health settings often focus on a primary family caregiver and single care recipient. This can blind providers to other key people in the care network and the implications of network dynamics, especially with regard to authority, communication, and decision-making. In addition, by focusing on single family members, a professional provider misses not only the opportunity to educate others who might be directly involved, but also the chance to learn important social context about the care recipient or their environment. Understand the family caregiver’s day-to-day reality. Caregiving requires managing a constantly changing set of activities, and it can be influenced by a myriad of different factors in each family. Understanding these factors, and tailoring requests and treatment appropriately, is critical to enabling follow through and sought-after outcomes. Further, within the home environment, family caregivers are called upon to navigate between managing non-medical tasks and administering complex medical care, often without training. Easing unnecessary burdens that can be caused by bureaucratic systems or lack of clear communication directly supports the family caregiver’s efforts and well-being, to the long-term benefit of everyone involved. The Atlas of Caregiving seeks to understand the lived experience of family caregivers in order to learn how we can make their lives easier. This series of blogs shares the study’s lessons for caregivers, employers, the tech community, service providers, and researchers. You can read the initial posts here. The Atlas of Caregiving Pilot utilized cutting edge tools and analysis to study and map family caregiving. Our 14 Pilot participant families all live within two hours of San Francisco. Caregivers ranged in age from 30 to 73, and the care recipients from 3 to 101. They are managing a diverse set of conditions including Alzheimer’s, cancer, cerebral palsy, cystic fibrosis, diabetes and Parkinson’s. The Atlas of Caregiving Pilot Study was supported by a grant from the Robert Wood Johnson Foundation, in collaboration with the Family Caregiver Alliance. You can download the Pilot Study Report here, and view case studies of all the families here. 1In the published pilot study, pseudonyms were used for all participants to protect each family’s confidentiality and privacy. 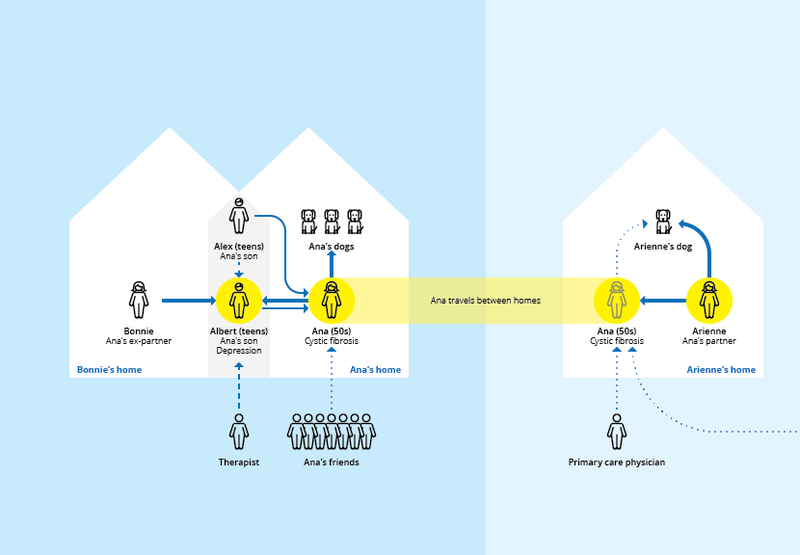 Julie has provided permission to use her real name here; however, she is represented in our report and care network diagrams as Ana.